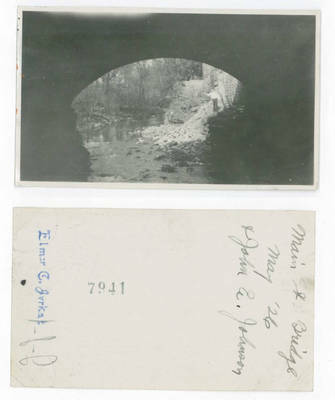 Note on back: "Main St. Bridge, May 1926. John E. Johnson" Taken from under the bridge, looking through an arch. John Johnson is standing on the river bank.